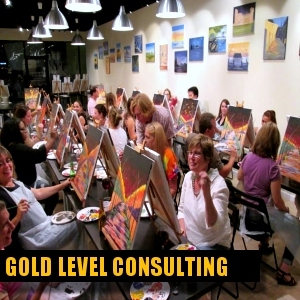 Our proven step-by-step programs will guide you through establishing, branding, marketing, executing, and maintaining your own legal, successful, and "scalable" paint and wine oriented business that is heads above the rest. 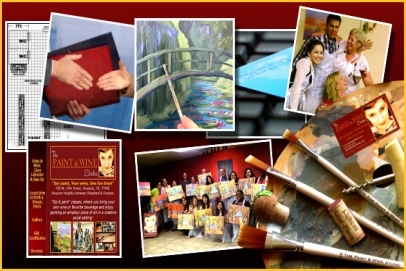 We co-create the entire business with you through a series of "assignments", there is literally no aspect or task left uncovered -- you have 100% access to our expansive knowledge of the entire "art and business" of paint and sip. We co-create your unique brand and then you own it, 100% -- no franchise name fees or royalties to pay from every dollar you earn, no long-term contracts to dictate what you can and cannot do. 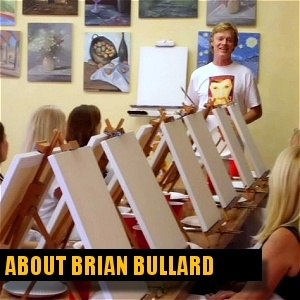 We teach you our proven processes and how to implement them into every aspect of your business in order to ensure the highest level of efficiency for your paint and sip studio, resulting in the ultimate level of customer satisfaction! BEST VALUE, EASE, & SPEED! *creation of the business brand, including logo, color scheme, etc. Your additional costs - any licensing / legal fees, lease deposit and rent, build-out labor and materials, signage, printed marketing materials, studio and art material inventory, insurances, website monthly hosting fee. Your additional costs - any licensing / legal fees, printed marketing materials, art material inventory, insurances, website monthly hosting fee. A proven system to guide you step by step through the entire process in 100 days or less! A proven system to guide you step by step through the entire process in appr. 135 days, you set your own pace. A proven system to guide you step by step through the entire process in appr. 90 days, you set your own pace. 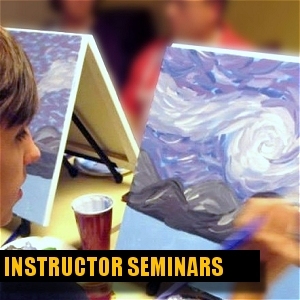 Our INSTRUCTOR CERTIFICATION SEMINAR covers painting and instructing in the "paint & sip" style, customer station setup, copyright law, and hosting techniques. Geared for creating certified instructors a cut above the rest! Our PAINT & SIP WEBSITES are geared for top ranking and easy use, automatically interfacing with the pay system. 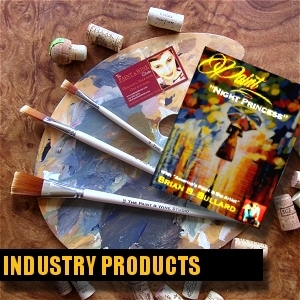 90% of paint and sip customers find their local studios on web searches. Your customers will find you, click, and buy!